Thirteen years later, Square-Enix is bringing back a classic to scare you in all-new ways. Back in August, there was speculation that the original Parasite Eve games would be hitting the PlayStation Network. Now, to promote the release of The 3rd Birthday in Western markets, Square-Enix has put one of the original titles on the PSN and plans to eventually release the other. The 3rd Birthday is set to be released for the PSP at the end of the month, so Parasite Eve has been released on the PSN for both the PS3 and PSP. Square-Enix, meanwhile, announced that plans to put Parasite Eve II on the PSN at "a later date." 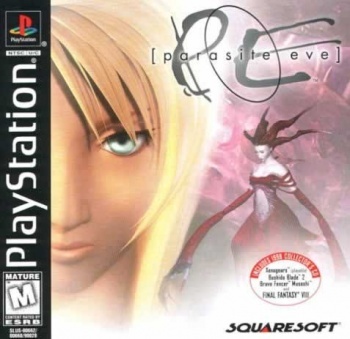 The first Parasite Eve was released for the first PlayStation console back in 1998. The game followed Aya Brea, a NYC police officer who discovers a type of mitochondria called "EVE" that begins waging war against humanity over a six-day period. If that sounds like a bizarre plot, it only gets stranger, but a bunch of my friends were all in love with the game back in high school. Parasite Eve is selling on the PSN for $9.99 $5.99.